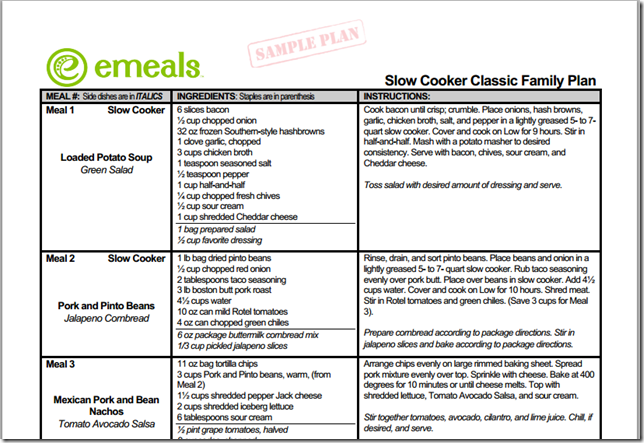 Since I have joined eMeals they have come out with 2 new exciting things, the iPhone app and they just added a Slow Cooker Meal Plan with a Classic and Clean Eating option. 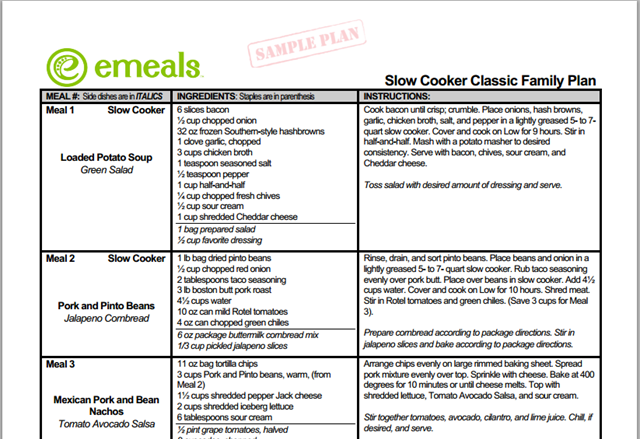 I love using my slow cooker, and to be honest most of my favorite meals are prepared that way. 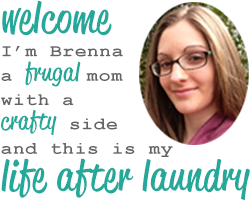 I know how helpful this would be for any mom throughout the week days, to arrive home and have dinner waiting. And, for our family, it proves its value that much more on the weekends. They always seem to be some of our busiest days with work, church, volunteering, and trying spending time with family. So, when we were given a few meals from the Slow Cooker meal plan to try out, I took full advantage of them during our craziest days, Friday- Sunday. The prep work in the morning was very easy, the most difficult thing was chopping up an onion, which didn’t take very long at all. Especially when you consider, I talked my husband into doing that part while I got ready. 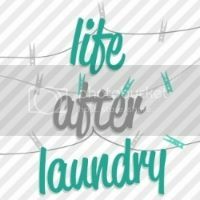 It was such a relief to know that I could get the things done throughout the day, without worrying what was for dinner. We were able to go on about our day, and arrived home to the wonderful smell of dinner ready and waiting. No standing in front of the stove for 30 or more minutes, or listening to family members complain “when is dinner going to be ready?” Besides doing the dishes, it was almost like I had the day off from my mommy work. Yea, I know that will never happen, but having dinner ready is about as close as it gets. You get 7 dinner meals- 5 of which are for your slow cooker and 2 quick fix meals using ingredients cooked from a previous nights, but giving them a different twist. You can see an example below in the meals we tried off of the new plan. As you can see, we cooked the Pork and Pinto Beans one night, and used the leftovers for Mexican Pork and Bean Nachos. Now honestly, that is the best leftover meal I have ever fixed. I love how it really does something different with the ingredient. Its not just eating the same thing for the second night. If my little sister were to stop by for dinner one night she would have no idea she was eating something that was part of last nights dinner. I was very pleased with the meals, the recipes off this new menu choice were the same quality we have come to expect from eMeals. But, the convenience of this plan makes it a winner by far. If you aren’t using eMeals yet, now is a great chance to start. 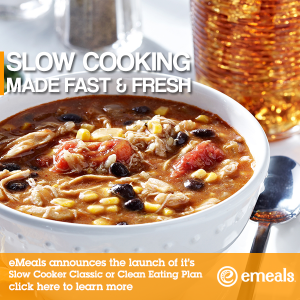 Save 15% on all eMeals plans with code “SLOW” . What a great idea. I have never been very good about using leftovers. They make it look so easy! Sounds great. I will have to give that try. The most dreaded words at night for me: “What’s for dinner?” and “Is it ready yet?” and unfortunately not just coming from the kids 🙁 eMeals looks like the perfect solution to me! !